Join Aunt Mag in the classroom to learn how simple this stunning quilt can be do make! We'll be using Creative Grids Curvy Log Cabin tool plus the Curvy Log Cabin book to create our quilt. 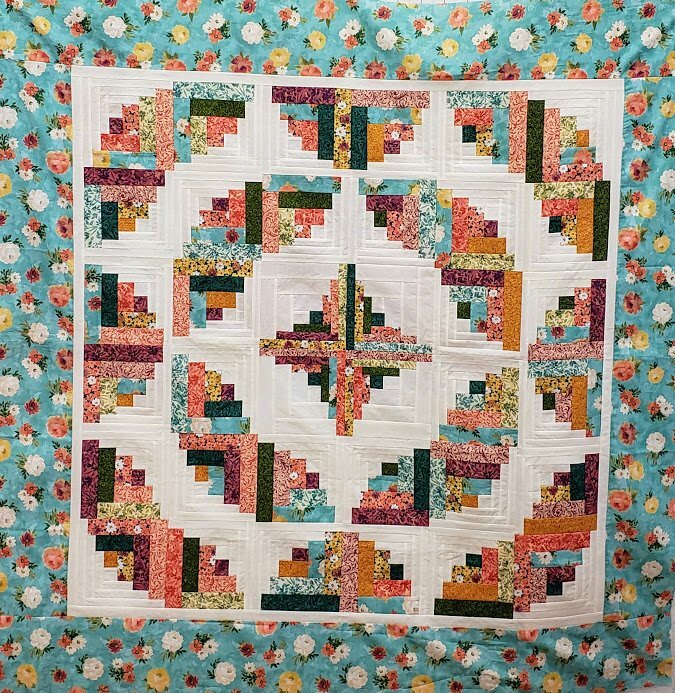 This quilt can be made from Fat Quarters or Jelly Rolls, plus coordinating background fabric. Recommend purchasing the book in advance. Please cut your fabric into strips (as directed in pattern) prior to class. No subcutting necessary.